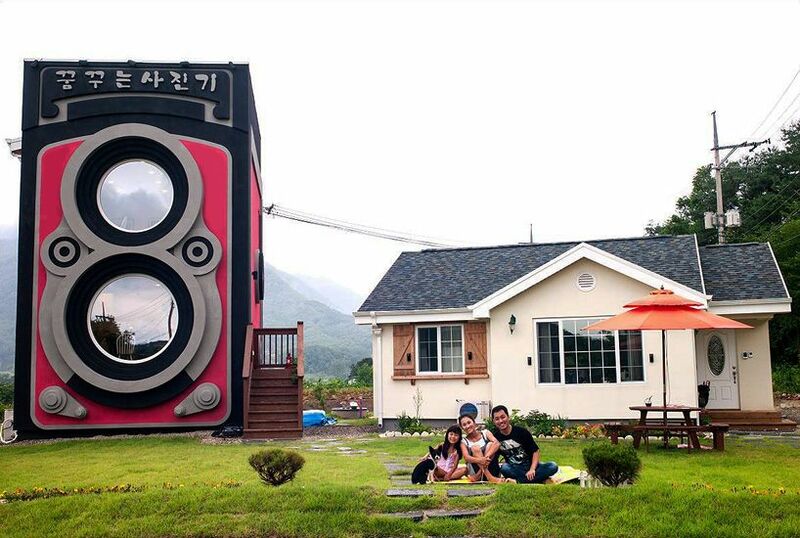 The family that owns the Dreamy Camera Café sits happily in front of their home and café. 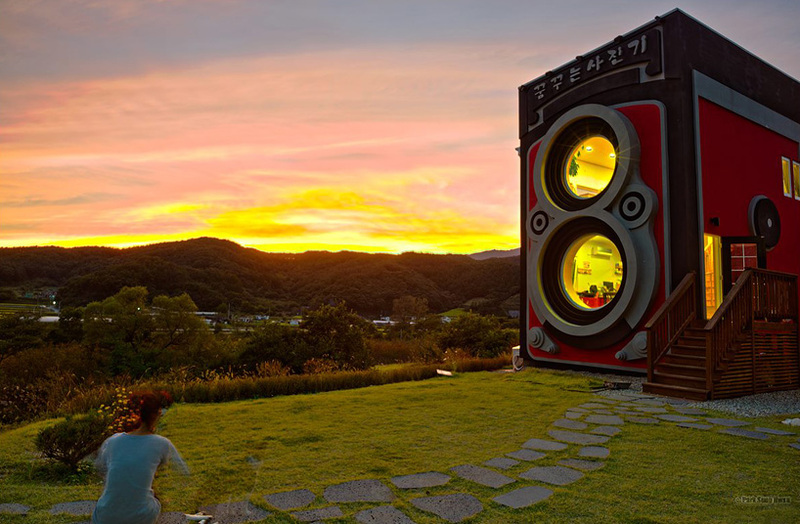 A South Korean family from Yangpyung (located 40 miles from Seoul) have built a life-size vintage Rolleiflex twin lens camera café. The family consists of the husband who is an army aviation helicopter pilot, the wife who is a recently retired army aviation pilot, and their young daughter. 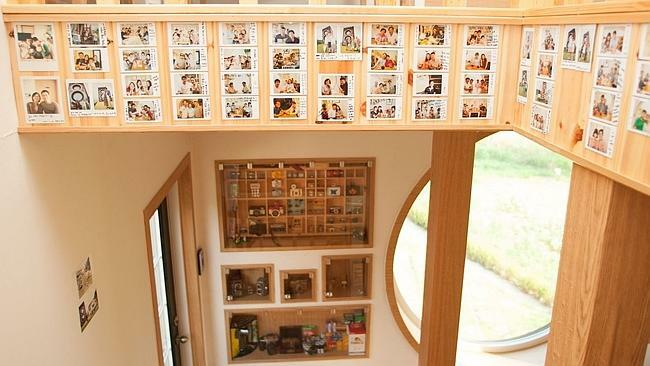 The café is called the Dreamy Camera Café, and has been a lifelong aspiration for the husband. He wanted to combine his two passions for photography, and coffee in to one. When it comes to the interior of the Dreamy Camera Café, it is two-storeys with both floors having tables and chairs for visitors. The first floor has many toy cameras, miniature cameras, real vintage cameras, and a Rolleiflex camera the café is based on. The vintage cameras were collected by the husband and are in working condition. There are also books about photography that line the shelves. 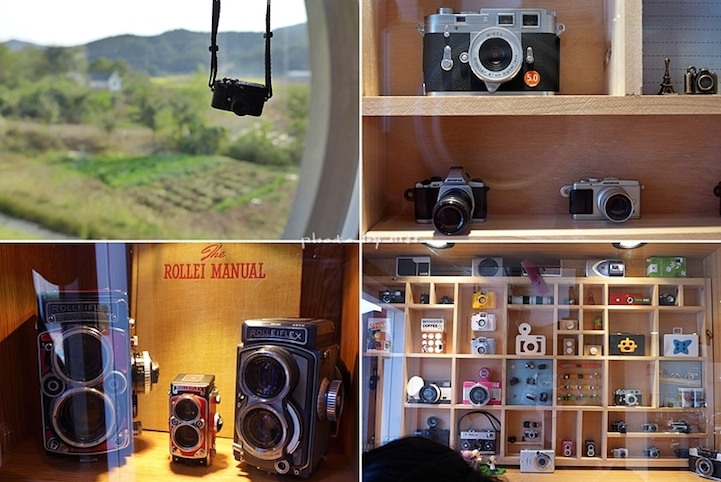 The first floor of the café features many unique cameras on display. The second floor walls have original photographs exhibited, and on your way up the staircase there are photos of people who have visited the café since its opening in 2012. Guests are encouraged to take a Polaroid photo of themselves to add to the growing assortment. Second floor of the Dreamy Camera Café. The exterior is meant to exactly mirror a Rolleiflex twin lens camera. This includes a focus wheel, shutter button, and two round circular windows that bear resemblance to the camera’s lenses. 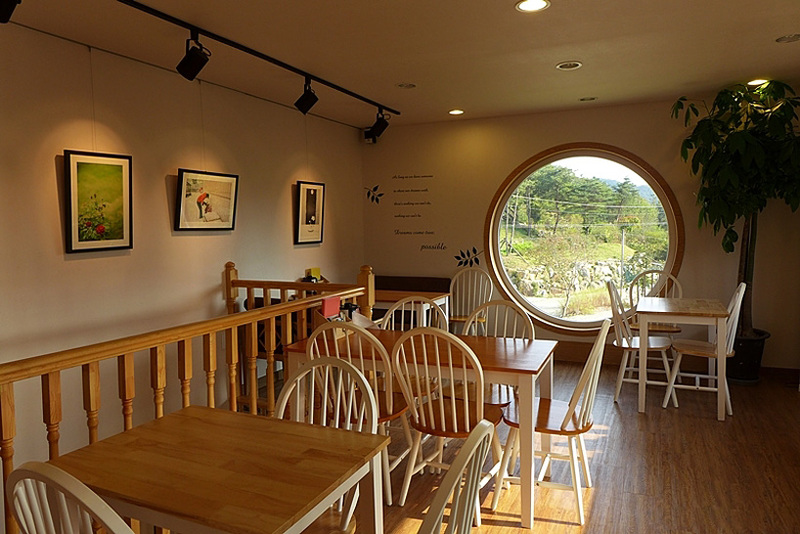 There are rectangular windows on one side of the café that have landscape views of the farming fields and mountains. At night the lights are shined brightly to appear like the flash is about to go off. 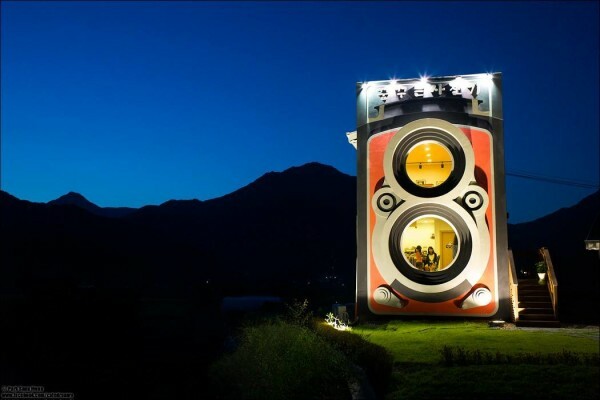 A photograph of the Dreamy Camera Café at night. The Dreamy Camera Café serves coffee, espressos, tea, churros, and has daily specials that are written by the husband and wife’s daughter. She is currently learning calligraphy in school, and adds hearts to all the letters of the menu. The daily specials have hearts written on each letter at the Dreamy Camera Café. If you’d like to visit, the café is open on Mondays, Wednesdays, Thursdays and Fridays from 11 a.m. to 6 p.m., and Saturdays and Sundays from 11 a.m. to 8 p.m. They are closed on Tuesdays. Definitely a place I will try and visit the next time I go to Korea!